You’re a writer, which is what you’re good at, but to be successful, you need to know more each day about the changes in the printing, publishing, and promotion of your materials. Subscribing to our membership area guarantees that you’ll have access to the latest information about the world of publishing, e-publishing, and book promotion. All our materials are researched and produced to help you learn about, keep up with, and take advantage of the latest innovations in the world of self-publishing and e-publishing. Whether you’re interested because you want to write for profit, establish your credibility by becoming the published expert on a topic, or simply want leave your legacy in writing, access to our site is like having your own personal self-publishing coach. With a membership subscription, you'll have access to how-to articles, product reviews, recommendations, and information on the best places to acquire the latest information and innovations in the world of publishing. Members receive special coupons good for discounts on books and materials! If you’re serious about getting your writing published and more importantly, profiting from your writing efforts, our up to the minute, extensively researched exclusive material, will provide you with the best return on your membership investment almost immediately. How to find out if your material has been plagiarized. Everything you need to write and publish your book for free! We've compiled this report this report for those of you who want to do all of the work yourself but do not want to spend any money to have your book formatted or published. It includes links to all of the free software that you'll need to create the interior of your book, the cover of your book, the ISBN and bar code information, getting the book paper published for free plus information on royalty-free graphics and how to create a free website to offer the book yourself. Membership is just $9.95 a month or the annual plan for $97.00 per year. If you’d rather not commit for a year, you can sign up on a monthly basis for $9.95 per month and extend the subscription to an annual renewal when you’re ready. If you sign up now, you'll immediately receive access to everything you need for keeping up-to-date with the world of self-publishing, e-publishing, and profitably marketing your materials. Once you’ve received the information you need, you’ll be a profitable, published author. All the content is available exclusively over the net and is available for unlimited access with your membership. 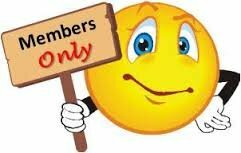 Click on the secure online order button to become a member and gain access to all the resources listed plus much, much more!.